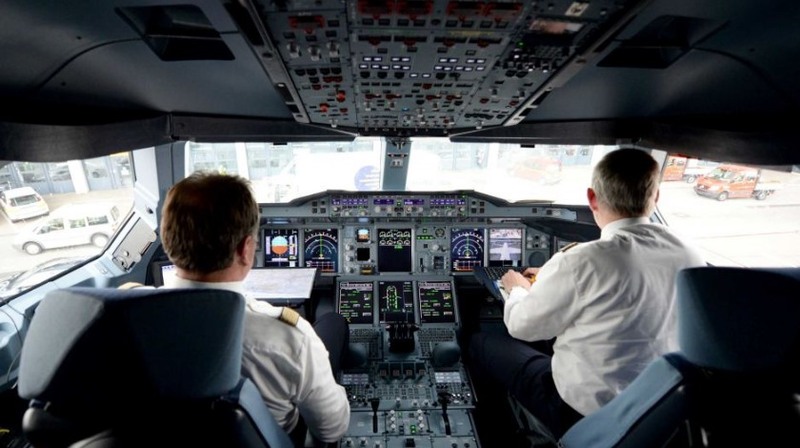 EASA has launched an online survey to assess the effectiveness of maintaining two people in the cockpit during flight, as recommended in the wake of the Germanwings tragedy. On March 24, 2015, a Germanwings Airbus A320 was on a scheduled flight from Barcelona to Düsseldorf when it crashed, killing all 150 people aboard. A preliminary report revealed that co-pilot Andreas Lubitz, alone on the flight deck, switched the selected altitude from 38,000 ft. to 100 ft.—the minimum value possible on an Airbus A320—and increased the speed of the aircraft, setting in motion an intentional fatal descent into the French Alps. Just three days after the crash, on March 27, 2015, EASA recommended that two crew members, including at least one qualified pilot, should occupy the cockpit during flight, or that the operator should implement “equivalent measures,” however this is not a requirement. This recommendation was based on the technical investigation performed by France’s Bureau d’Enquêtes et d’Analyses (BEA) and was maintained by the July 2015 Germanwings Task Force report. EASA is now seeking feedback from “operators, pilots and cabin crew, authorities and other interested parties” to assess the effectiveness of the two-person-in-the-cockpit recommendation. It launched an online survey on Feb. 1 and has set March 11 as the closing date for submissions. EASA asks for contact details to be provided, but all responses will be aggregated and kept confidential. “By April 2016 the agency [EASA] will publish on the EASA website a summary of the answers/comments received, following an evaluation of the answers received. The summary will be followed by an agency proposal on how to implement the recommendations of the Germanwings taskforce,” EASA said. In the US, there is no explicit rule requiring two crew members to be in the cockpit during flight; however, this has evolved as an FAA-approved standard operating procedure for US carriers.